My hunting buddy and I live in California and we research old sites on the west coast, including Spanish influenced sites, western frontier stage stops, and ghost towns. We don’t have the history of the east coast, or Europe, so we have to work with our modest history on the west coast. For every ten sites that we research, we are able to gain permission for maybe one or two. Then it takes about ten of those before we find a good one that hasn’t been hunted out by detectorists of yesteryear. It’s a time consuming, long term process, but part of the enjoyment is the research, and when we do finally get a site that hasn’t been cleaned out, it makes it all worth it. We finally found one such site, an old 1800’s stage stop/ghost town type site. 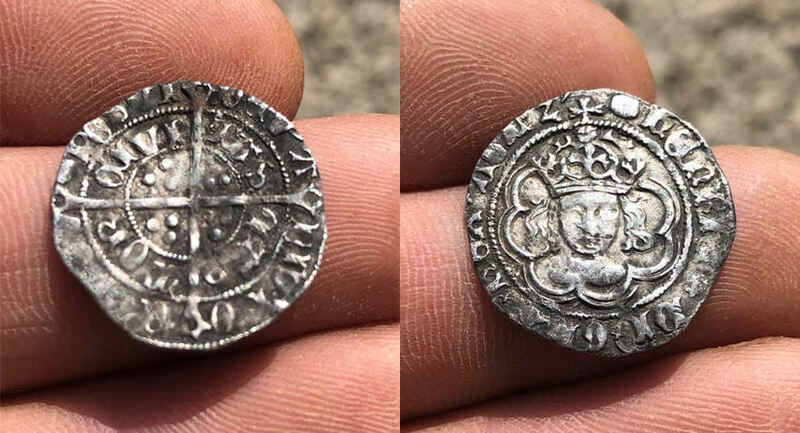 It took a while to locate the site and gain permission, and even then the first time there, the finds were meager, but one seated dime was found. 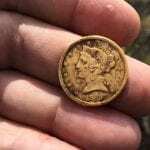 The second time there was in the middle of the summer, the temperatures were high, and the snakes were out, but two more old coins were located as well as a few period relics. We were confident we had indeed located the right spot, but decided to return in the fall when the weather was more conducive to detecting and the rattlesnakes would be in hibernation. 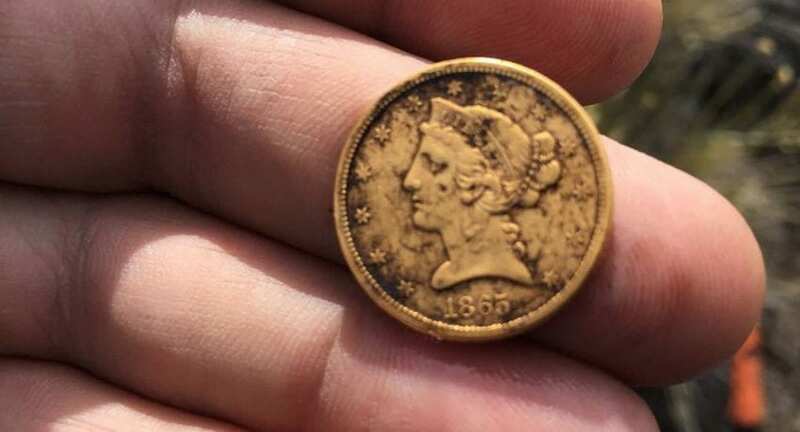 We returned in October, and a total of eight more period coins were found on this trip, including a rare, key date 1860 San Francisco minted Seated Liberty Quarter! A few interesting relics were also found, as were tons of bullet casings, lead and shotgun hulls. This site has highly mineralized soil, which for most VLF machines, makes it a tough site to detect. Using the Impact set at 20 kHz, in Di3 mode, with the 11″ DD coil works very well at this site. 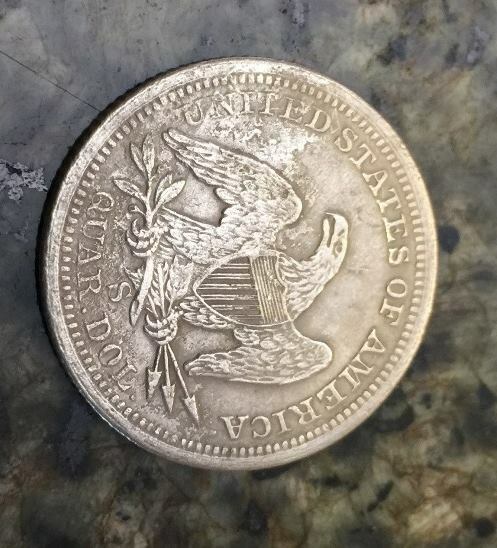 After our success in October, we returned again a month later, and several more seated coins were found, including a couple of seated quarters and dimes, and a few early 1900’s coins like a V nickle, and a barber dime. 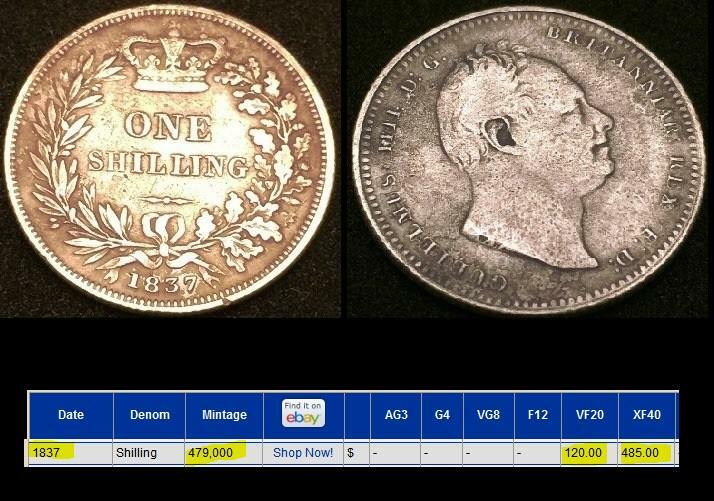 Using the Impact, I again found a fairly rare coin, but it was a bit of a mystery right after it was dug, as it clearly wasn’t a U.S. coin, in fact it turned out to be an 1837 British one shilling! 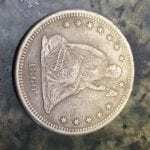 This shows the diversity of the frontier days as it’s not uncommon for us to find Spanish, Mexican, French, British, German and other foreign coins as people emigrated to the U.S. in search of riches and a better life. We decided to try to get one more hunt in before winter shut the site down with snow. We went there on a beautiful day, and started detecting. 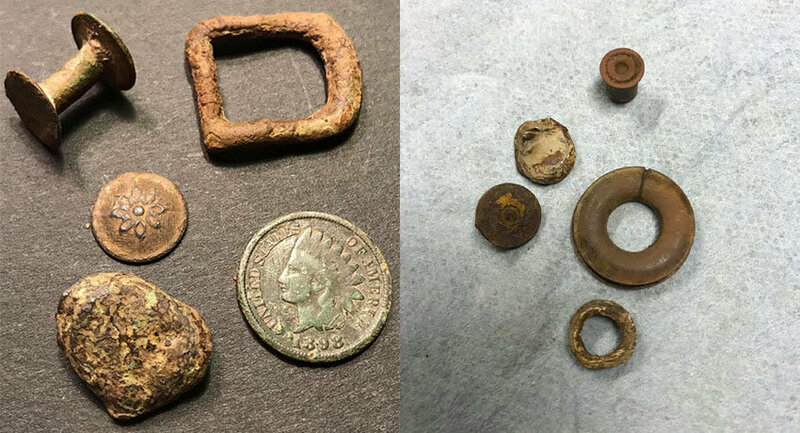 I went to an area my hunting partner had worked over pretty well on our previous trip, and right away started finding some old period horse tack rivets, and a couple of shotgun hulls. The shotgun hulls TID on the Impact is in the 60’s – 70’s depending on the size, shape and orientation, and they can sound pretty good. 30 minutes into the hunt, I get a beautiful, pure sounding signal on the Impact, the TID is unwavering at 64 no matter what angle or direction I swing the coil from. Thinking it’s likely another shotgun hull, I dig the signal, and see a dull gold disc flash by me as it pops out of the hole. I’m still thinking I likely have another shotgun hull, until I locate the target, which is now on edge and starting back at me is a golden color reeded edge! 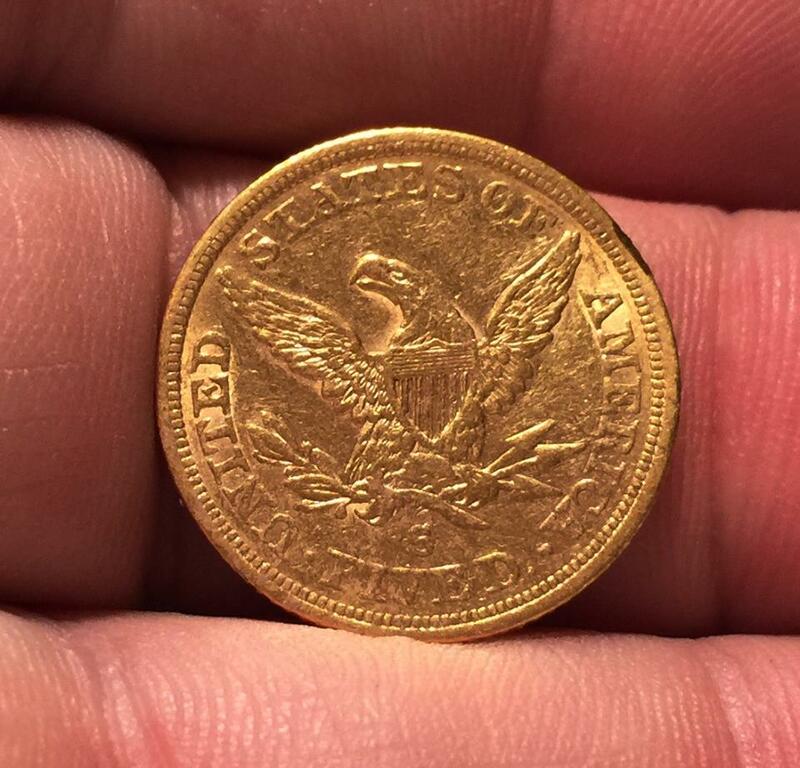 OK, now I’m excited, and I know that I likely just dug my first ever gold coin, but still have not touched it and have no idea exactly what I have. 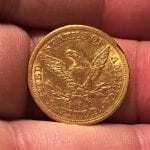 I get my iPhone out and start to record the event, and also call my buddy over, who’s on the other side of the site, and can barely hear me jumping up and down with excitement exclaiming to the world “gold coin! 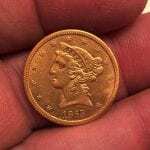 gold coin!”. 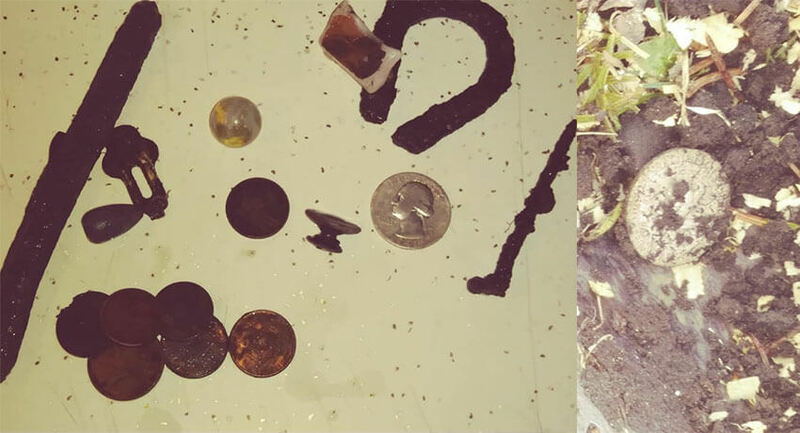 He races over to join in the excitement and I pluck the coin out of the dirt, and we spray a bit of water on it to determine exactly what was just dug. 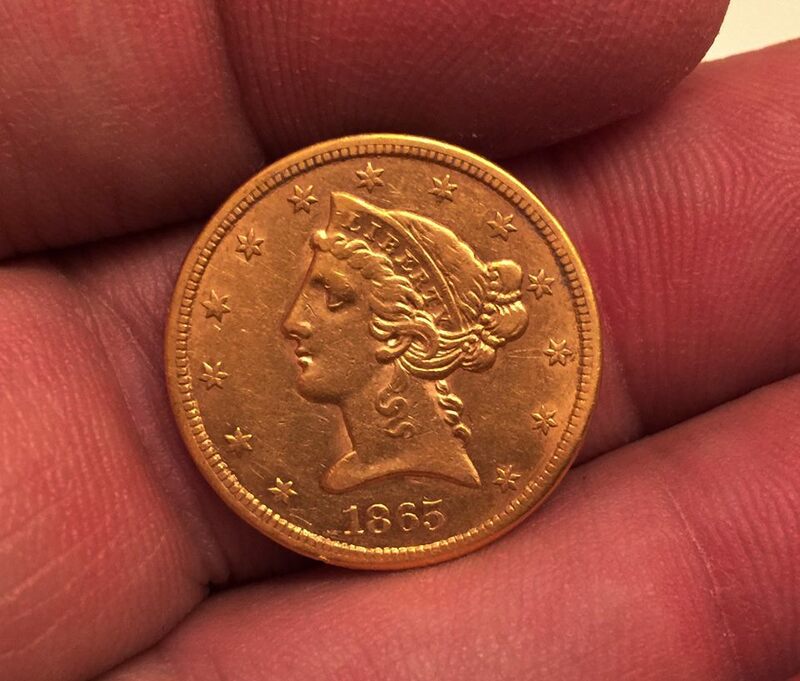 The face of lady liberty starts to come to life, then the date becomes clear, it’s an 1865 half eagle gold coin. 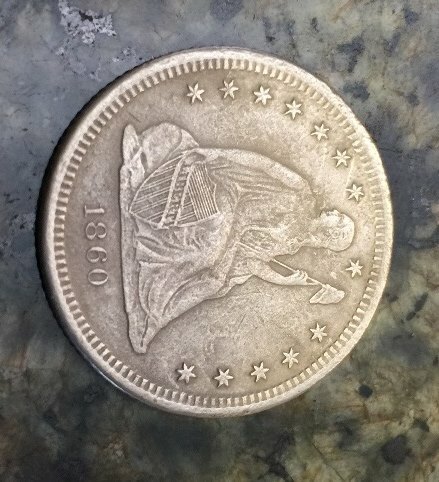 My buddy checks the PCGS coin site on his mobile and says “dude 1865 is a great date, if it’s a Philadelphia or a San Francisco mint mark it’s a big money coin!”. 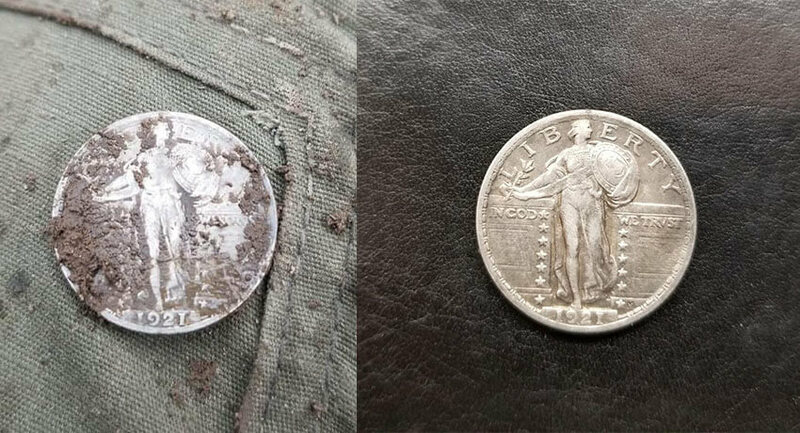 We hit the back of the coin with some water, being careful not to rub and scratch it, just spraying and lightly patting the dirt off to reveal that it’s a San Francisco minted coin. 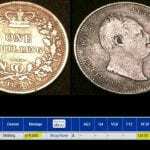 According to the PCGS site the mintage was 27,612 coins, and now less than 100 known to exist. 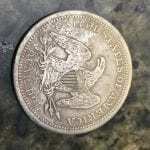 It also goes on to state that “Almost all known examples of this date are well worn with VF and lower being all one can expect to find.” This one looks to be in a much higher grade then that, I’ll send it in to PCGS for grading to see how it comes out. 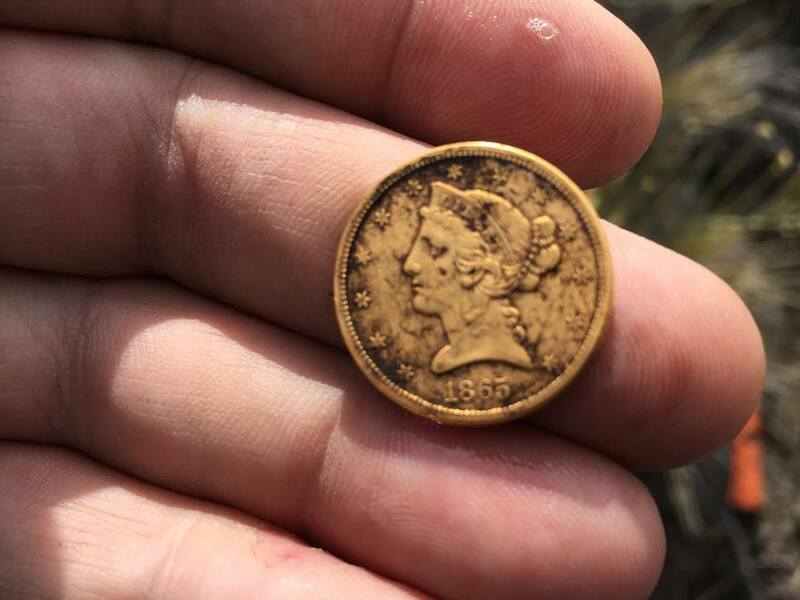 This is a find I’ve been waiting for for a long time, after years and years of researching sites, many of them turning out to be lame, and watching my friends dig their gold coins, the Impact came through for me and helped me locate my very first one, and a great one at that! I appreciate that the Makro/Nokta team listen to their customers and their needs and build such great detectors, I’ve made some great finds since leaning about this great company, and using their detectors.